Keeping babies warm Project is 7 months pilot project funded by individual donations from norway, project goal is to decrease number of childern dying with neonatal hypothermia . Somaliland is the leading countries in maternal ,newborn and child health with neonatal mortality of 50/1000 ( Lancet ) 2010 , One of the most common causes of newborn death is neonatal hypothermia despite good enviroment lack of proper delivery facilities in hospitals and cultural believes of early bathing of newborn babies and low birth weight , sepisis and premature babies all increase the risk of exposing newborn hypothermia . 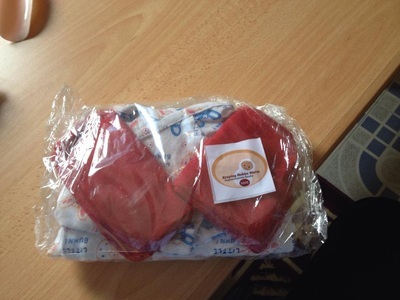 In Somaliland one key finding of that mothers and relatives are not providing clothes for the newborn babies can also increase the risk and to address this overall risks and reduce the incidence Keeping babies warm packages is innovative ,free and prepared packages that midwives use as a part of delivery kits for every newborn babies in 3 regions in Somali land. Project supports 6 public and private health care facilities in 3 regions in somali land , so far more than 600 packages has been distributed .